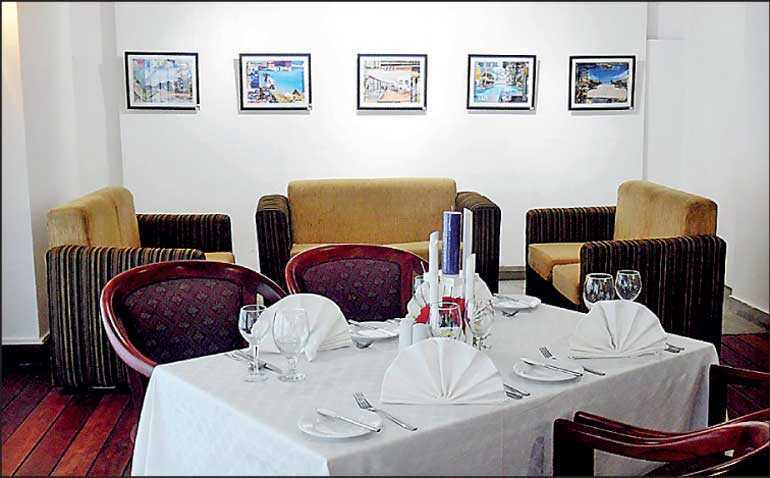 With so many art-connected events happening all around the city at the moment, Global Towers – the pioneer star-class hotel – is doing it again by adding a bistro style art gallery and café’ to its already existing line up of F&B outlets such as Train-spotter, Yacht cabin and the popular pub style night club Chillax Pub. Global Gallery & Café is designed on refined lines of discerning entertainment for art lovers – the Gallery will feature prominent artists both in the field of fine arts, crafts and music while the bistro type Global Café will feature an exclusive menu and wine list that can be enjoyed by diners who prefer specially designed menus. 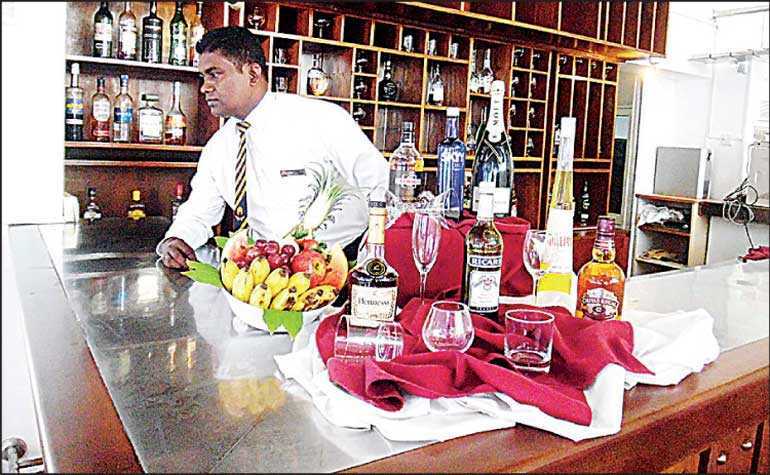 This novel project is an idea by leading hotelier Nirmo Thambapillai, CEO/General Manager, with instant approval by Chairman Phylix Selverdurai, who pioneered Global Towers to sit on Marine Driver 14 years ago. Thambapillai who has taken over the reigns as CEO and General Manager at Global Towers and successfully put into place many novel ideas in less than a year of his tenure in office has brought back the hotel into focus in recent times – achieved with the support of his management and kitchen team and the all new Board of Directors and Chairman who are looking at competitively operating the pioneer property by introducing novel ideas such as this to reach above the many hotel properties that have surfaced on Marine Drive in recent times. 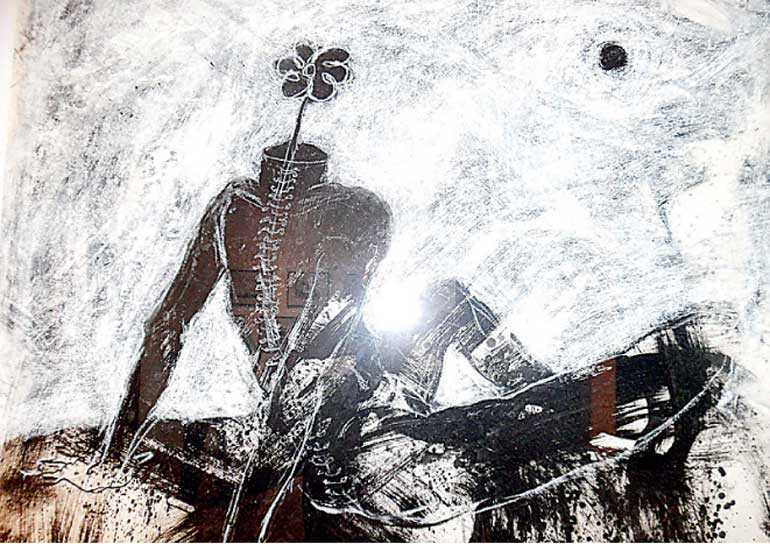 Mihiri Devendra – Devendra had her art education furthered at Chitrkala Parishad – Bangalore and is representing the special collection featured under the umbrella of the Semman brand, featured by ‘The Thinnai’ Jaffna. The project funded by ‘The Thinnai’ is designed towards uplifting the community in and around Jaffna by showcasing a range of products made by the skilled hands of the Northern Province’s craftsmen and women. The designs used for many of these unique products have been created exclusively for Semman, to establish a uniqueness and identity for the brand. They are refreshingly different and use a blend of traditional materials unique to the north as well as modern materials. 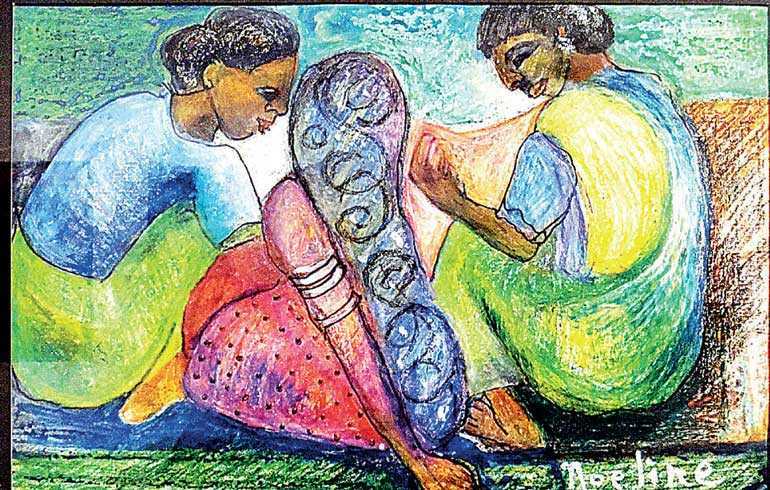 Noeline Fernando – Fernando of Cora Abraham Art Classes fame has spent most of her years as a teacher at prestigious addresses such as St. Bridget’s’ Convent, Ladies College Colombo and SOS Village Children’s Homes. She also had the privilege of attending Open Studio Classes in Life Drawing at Heatherly School of Fine Arts in Chelsea, UK. 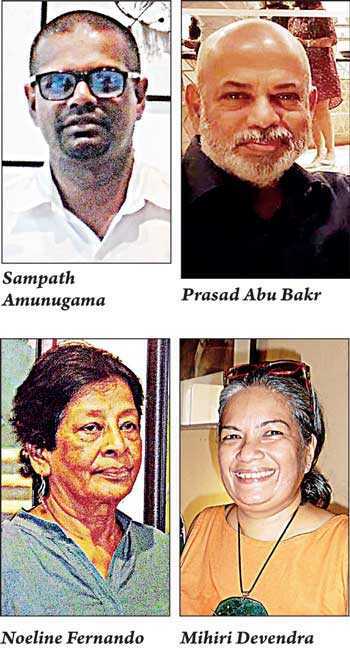 Sampath Amunugama – Amunugama, who holds a Postgraduate Diploma in Archeology from the University of Kelaniya and a Bachelor of Fine Arts in Painting from the Institute of Aesthetic Studies, has held many exhibitions both here and abroad to his credit, and is presently working as the Art Master at S. Thomas’ College Mount Lavinia. Prasad Abu Bakr – Abu Bakr is also a product of the Cora Abraham Art Classes and is better known as a travel/photo journalist who has evolved as a an artist creating collage images that can be described as ‘off the beaten track’ as a result of combining his childhood talent to paint, together with his recent ability to capture scenic images behind the lens and creating stunning images by combining the two techniques that has caught on within the local art market and won the praise of art lovers. Premaratne Badugodahewa – Badugodahewa who has created a niche as an excellent sculptor will be showing some of his unique pieces of sculpture at this exhibition. 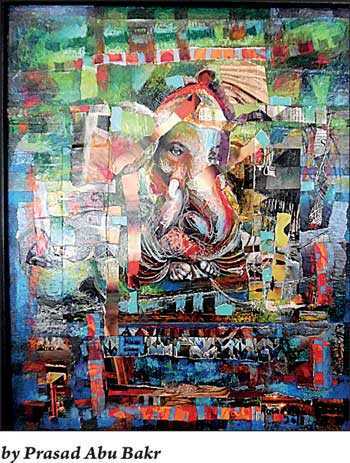 He is a Graduate of Fine Arts from the University of Colombo and later obtained a Doctorate from the Milan Academy of Art in Italy. The exhibition featuring the work of these artists can be viewed at the Global Gallery & Café from 8 to 28 February from 10 a.m. to 10 p.m. daily during restaurant hours.